Calling artists, designers and makers based in Greater Manchester. We are looking to commission a dining table that will play a central role in an exciting new artistic project. 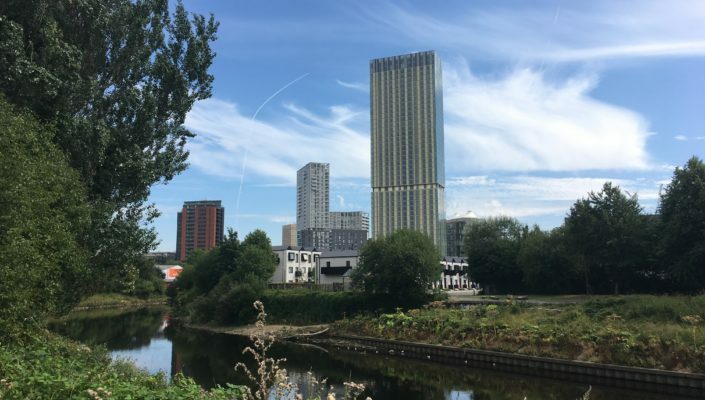 Tenancy is a year-long, EU-funded project taking place in a house on the border of Manchester and Salford. Curated and produced by Quarantine, it is a direct response to the extraordinary growth and change that has gripped Manchester in recent years. A series of artists will take up residence in the house over the year; they will get to know their neighbours and make new work. A parallel programme of conversations and other events will take place in the house, weaving a thread of critical debate throughout the project. A kitchen table is the heart of a home and this table will be a central gathering point for Tenancy. It will be where neighbours meet over coffee; artists dream up new ideas; and people gather to imagine the future. This commission is for design and delivery, so as well as a great idea you must also be able to realise it – either by yourself or by working with others. The table should be able to seat up to 16 people. It will be used for a wide variety of things, so flexibility is key. The maximum dimensions for the table are: 1120mm wide x 4385mm long (ideally adjustable). Total commission: £2,000-£3,000 (depending on materials) for design, realisation and delivery. Must cover design fees, materials and construction, and transport to the house. Deadline for proposals: Monday 17 September 2018, 12 noon. Please note: this open call is restricted to those who live, study or work in Greater Manchester. Download the information pack for the design brief and more information about the project and submitting your proposal. Please email your submission to: info@qtine.com. If you have any questions or require any further guidance, contact Frances Richens, Communications & Development Manager for Quarantine via frances@qtine.com or tel: 0161 839 4392. This commission is made possible with the support of Tom Bloxham and Urban Splash.